From the moment you pick it up, you'll know it's a classic. 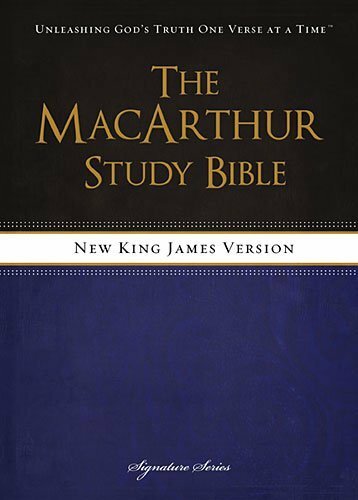 Featuring the word-for-word accuracy of the New King James Version, The MacArthur Study Bible is perfect for serious study. Dr. John MacArthur has compiled more than 20,000 study notes, extensive topical index, and numerous charts, maps, outlines, and articles to create The MacArthur Study Bible. No other study Bible does such a thorough job of explaining the historical context, unfolding the meaning of the text, and placing it within a theological framework. "Unleashing God's Truth, One Verse at a Time®" is a registered trademark of Grace to You. All rights reserved.